Apple’s strongly rumored iPhone launch event, which it tipped to take place on September 10, is hotly anticipated across the world, but, in particular, the event could mark the start of a new era for the company in China — the world’s largest smartphone market, where Apple still performs below its potential. 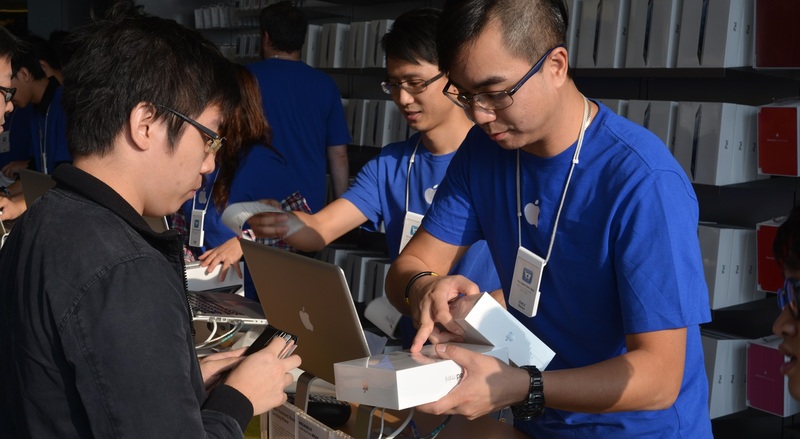 Before we start, it’s worth noting that Apple is not failing in China, by any means. The company’s Q3 financial results, released last month, do show revenue across the Greater China region slipped a surprising 43 percent sequentially and 14 percent year-over-year, but it still accounted for $4.65 billion — that’s 13 percent of its global income. The real issue is that — in the market share game — Apple is currently an also-ran, but the combination of a huge new distribution partner and new devices, including one at a lower price point, could change that. The next iPhone could be pivotal in China for a number of reasons. First of all, reports this week suggest the device — dubbed the iPhone 5S, based on Apple’s naming protocol — will include support for China’s unique mobile networks for the first time. That would be crucial since, to date, the US firm has failed to secure a partnership with China Mobile — the world’s largest carrier with over 740 million customers — primarily because it is unable to support the operator’s TD-SCDMA 3G network. Indeed, it’s been confirmed that Apple CEO Tim Cook has met with China Mobile officials twice this year, suggesting that the two parties may be working towards a partnership that would massively boost both of their businesses. China Mobile would significantly widen Apple’s reach and sales efforts in China’s mobile market, while a deal would help China Mobile compete on a more even keel with China Unicom and China Telecom, both of which are existing Apple partners. China Mobile enjoys a vast lead on subscribers overall, and though it also leads on 3G customers, its 3G user base is comparatively lower than those of its rivals, if you look at the percentage of 3G vs. non-3G customers. A 3G/4G-powered iPhone would be a big addition to its arsenal of devices, and would surely help it translate its dominance into the mobile broadband era. The other potentially game-changing factor for Apple in China is the strongly-rumored cheaper iPhone, which leaks have suggested could be called the iPhone 5C, built with a plastic case and available in a range of colors — like Nokia and Samsung devices. Talk of an ‘iPhone Mini’ or low priced model has been ongoing for years, however the latest rumors are particularly strong, fueled in no small way but the fact that many consumers across China, Asia and emerging markets are choosing other smartphones over the iPhone. Though Apple has seen success selling its older models at a lower price point, the principle is that a mid-market device would appeal to consumers who are currently priced out of its flagship phone and turn to Android smartphones in pursuit of a brand new device. Bloomberg reported earlier this year that the device will be sold between $99 and $150 by the end of this year. If the rumors are proven true, this could give Apple greater strides in China’s mobile market — one that is currently dominated by lower-priced Android smartphones. 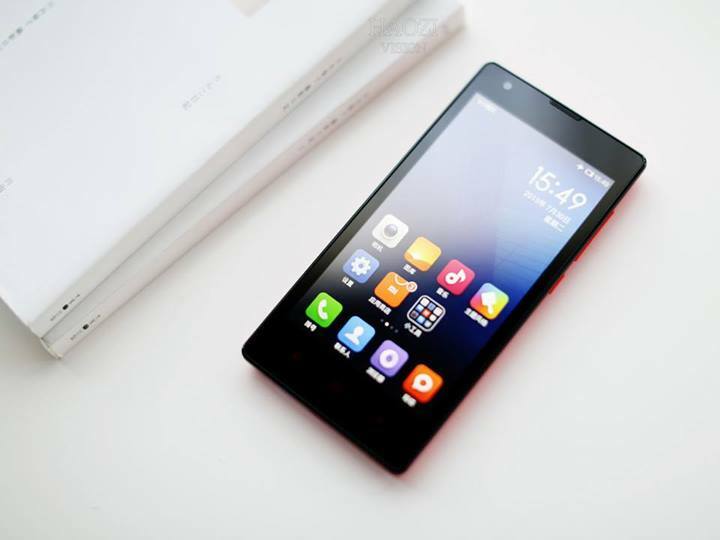 Chinese smartphone maker Xiaomi has illustrated the opportunity of mid-range phones. The company moved ahead of Apple based on smartphone shipments in Q2 2013, according to figures from Canalys. That’s due to sales of its Mi/Mi2 range of customized Android smartphones, which sell for between RMB 1499 ($241) and RMB 2,299 ($369). Not content with sticking to the mid-market sweet spot, Xiaomi pushed out further and late last month it introduced Hongmi (‘Red Rice’), which retails at just RMB799 ($130). Already the reception has been unprecedented. Xiaomi typically sells its devices in batches, and the first 100,000 units sold out in just 90 seconds this week, as the firm chalked up 7.45 million reservations in one morning. Xiaomi is not rivaling China’s smartphone leader Samsung on sales, but it is aiming to sell an impressive 20 million units this year. Its success shows there is demand for devices that are affordable yet sophisticated, which Apple could exploit with its global brand, larger budget and superior industry relationships — but profit margins remain an issue. Company co-founder Lei Jun told Reuters yesterday that Xiaomi, which is often know as ‘China’s Apple’, is actually more akin to Amazon. That’s because the vast majority of its income comes from its software business, which allows it to sell phones at low margins. Lei says devices are merely the ‘packaging’ behind online services. Apple’s margins are among the highest in the industry and that’s allowed it to make huge profits without topping the market share scales. However, it leaves some questions over whether it would be prepared to venture into lower yielding, mid-market devices, despite all the iPhone 5C rumors. Nonetheless, it’s clear that the market for ‘affordable’ phones is already vibrant in China, not to mention countless other countries — is Apple going to attack it this time? We’ll know in less than a month, but it could change everything for the US firm in China.